Dec. 17 by council. Construction is likely to begin next year. 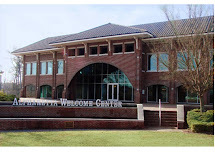 ALPHARETTA, Ga. – Alpharetta's new City Hall is looking more and more like a reality. The Alpharetta City Council unanimously approved designs and floor plans for the new building at their Dec. 17 council meeting. The overall cost went up significantly – $1.4 million – when it was discovered the soil beneath the building is not entirely suitable to build without significant excavating. "We didn't anticipate this," said City Manager Bob Regus. A large detention pond for water runoff had to be changed to not only harm fewer trees, but also to fit in better with the design of the parkland, as more of a natural pond than a man-made feature. Michael Schwartz, the architect, described the designs of the new building in detail with council. City Hall will have a "traditional neoclassically inspired design," Schwartz said. It will be three stories in the center with two, two-story wings on either side. A cupola will sit on the roof close to the front entrance. The ground floor will hold the community development department, primarily. The first floor will hold a large oval lobby. To one side are the large council chambers. On the other side is a multi-purpose room that can double as council overflow seating. There will also be a history room and special event offices. The second floor holds the offices of finance, I.T. and human resources. The top floor will house administration and the executive conference room. Around the outside are designs and motifs Schwartz said would highlight the unique qualities of the city. 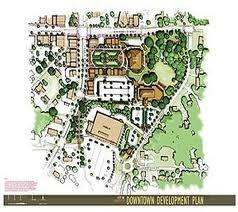 "We want to take a universal style and make it specific to Alpharetta," he said. This includes acorns and a Dogwood motif throughout the building, to stress the city's parks and natural side. In the oval lobby, the city's distinctive compass rose seal will be featured. Moving forward, residents should see the project begin next year. Mike Hall, of consultants Jones, Lange, LaSalle, said work will start at the end of March, and in August, grass will be sown so that it is ready when the town green and the park open in 2014. By the end of the year, the largest trees will begin to be installed around the edge of the site. Crowds routinely pack Alpharetta's downtown for events, such as the Taste of Alpharetta. ALPHARETTA, Ga. - It should come as no surprise to anyone who lives near Alpharetta, but the North Fulton city was named one of the nation's friendliest towns by Forbes magazine and a California networking site. The list of 15 great towns was compiled by Nextdoor.com, a neighborhood social networking site based in San Francisco. 500 towns were considered with populations between 5,500 and 150,000. 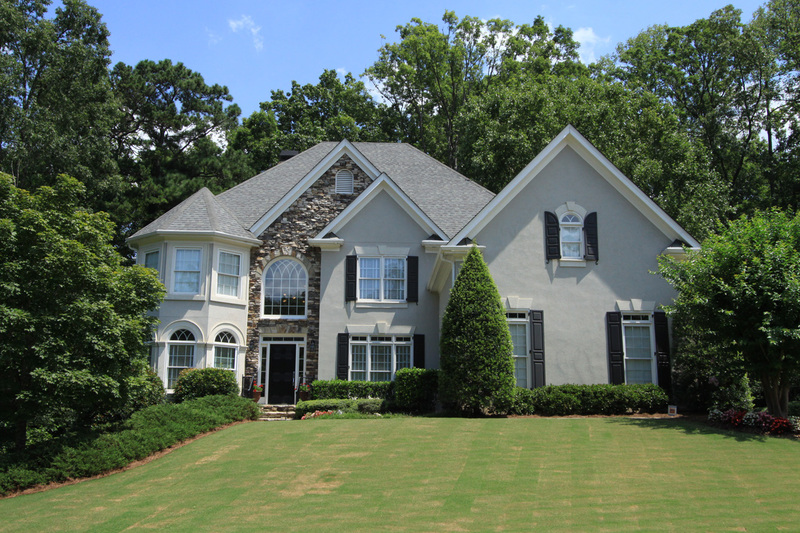 They were ranked based on four criteria – percentage of owner-occupied homes, crime rate, charitable giving and percentage of college graduates. In their writeup, Forbes noted that Alpharetta throws many events throughout the year and called it the "city of celebration." "We think of ourselves as friendly anyway but our efforts to generate an interest downtown played a role," he said. "We have so much excitement and energy going on in the city." With the annual Christmas tree lighting, the largest Tastefest in the southeast, the Georgia-Florida tailgate, and numerous other small events downtown, Alpharetta residents have seen plenty of activity in 2012. ALPHARETTA, GA. - The state board of the Technical College System of Georgia (TCSG) has approved the future purchase of approximately 25 acres of land in Alpharetta as the site for a new satellite campus of Gwinnett Technical College. This property is located at the intersection of Old Milton Parkway and GA 400. The board approved the recommendation from Gwinnett Tech's North Fulton County Site Selection Committee at its September 26 meeting. The college opened an Indication of Interest for the North Fulton County Campus Site Selection in May, and this recommendation is the result of that process. Gwinnett Tech's service area was expanded to include North Fulton County in June 2010. "We believe we've identified an ideal location in our North Fulton County service area for our future campus -- a site that provides both needed capacity and is convenient and accessible for area residents. We now look forward to the next steps in this process and the ultimate approval and purchase of the property," said Sharon Bartels, president, Gwinnett Tech. The recommended purchase will now be submitted to the State Property Commission for approval, with the transaction ultimately closed by the State Attorney General's office. The expected timeline for both actions to be completed is between six to nine months. The 25-acre recommended site can support 4 three-story buildings and necessary parking. When fully built out, the campus could serve up to 10,000 students. Discussions between Gwinnett Tech leadership and North Fulton employers will continue to determine which college credit programs and Continuing Education courses will be offered to support both short-term training needs and future employment demands. While these discussions are underway, GTC will continue to offer focused training through online degree programs, Continuing Education courses and Adult Education programs in North Fulton. Gwinnett Tech has been offering selected Continuing Education programs like Building Operator Certification® and a Patient Care Technician course in North Fulton, to strong response, for over a year. Additional information about the college's Continuing Education courses is available from David McCulloch, 770-995-9697, or on the website at www.GwinnettTech.edu/ce. Currently, the Adult Education program at Gwinnett Tech offers day and evening ESL classes and GED® preparation classes in North Fulton County. Additional information about the college's Adult Education program is available from Stephanie Rooks, 678-226-6662, or on the website at www.GwinnettTech.edu. (Navigate to Adult Education, GED® or ESL). More than 250 residents are currently being served through Adult Education classes at the former Milton High School. GTC is investigating other sites for Adult Education classes as well. 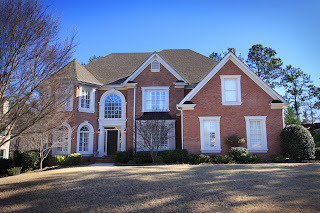 JOHN WILLIS 6 BED/5 BATH ON .65 ACRE LEVEL CUL-DE-SAC LOT WITH PRIVATE WOODED YARD. BEAUTIFULLY MAINTAINED TRANSITIONAL HARD COAT STUCCO HOME WITH TWO STORY GREAT ROOM WITH WALL OF WINDOWS, FP AND BUILT-INS. 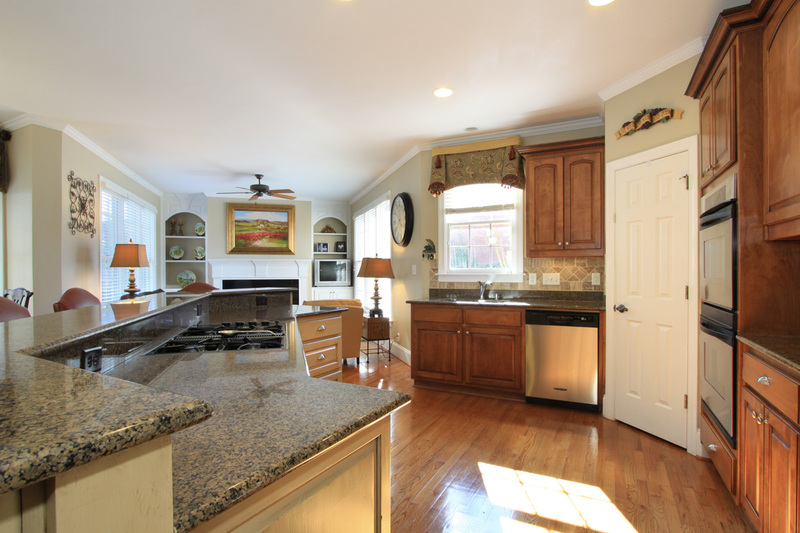 GOURMET KITCHEN WITH STAINLESS STEEL APPLIANCES, MAPLE CABINETS, SLATE TILE FLOORS AND AVONLITE COUNTERTOPS. 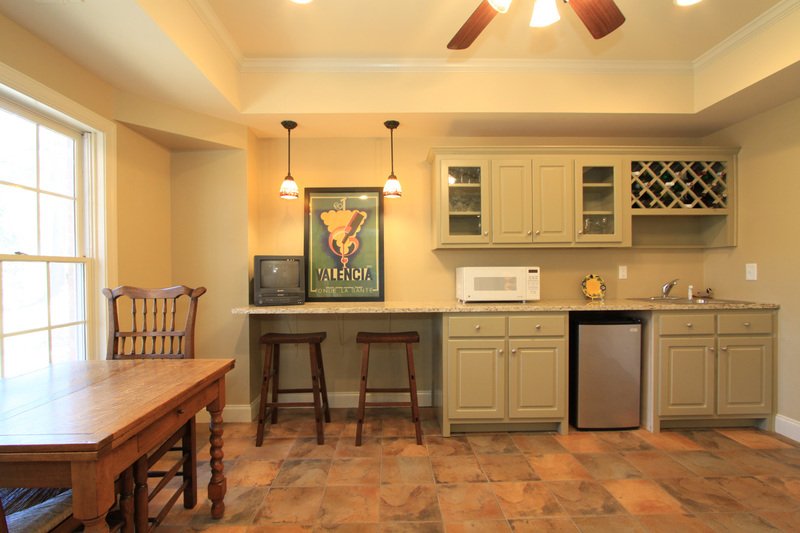 MASTER WITH SITTING AREA AND ACCESS TO PRIVATE DECK. THREE CAR GARAGE WITH FRIENDSHIP SIDE DOOR ENTRY TO MUDROOM. BEDROOM AND FULL BATH ON MAIN. FULL BATH IN DAYLIGHT TERRACE LEVEL. BEAUTIFUL PRIVATE LOT. 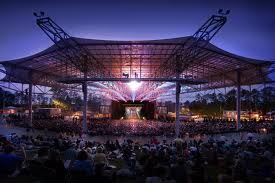 Taste of Alpharetta has become an annual tradition for festival-goers, families and food connoisseurs for 22 years. Make reservations on your calendar to dine in Historic Downtown Alpharetta at over 50 restaurants in one fun night. Sample delicious appetizers, entrees and desserts from the top menus in town. Enjoy culinary demonstrations, activities and entertainment to please every palette. Free Admission. Food tickets are $.50 each and restaurants participating in the Taste will charge $1-3 per food sample. With the Taste of Alpharetta moving back to the historic downtown streets, our Music Stage will have current retro-themed bands. A separate Culinary Stage will pair top area chefs against one another in contests. Party with metro Atlanta radio stations. Play at the Fun Zones. Come out and enjoy Alpharetta’s premier dining experience! Presenting the work of artists from throughout the U.S., the Alpharetta Arts Streetfest is a yearly celebration of the arts in the Alpharetta Historic District. We will close downtown streets and fill them with original high-quality art. This colorful festival features live jazz and acoustical music, cultural arts performances, children’s activities and festival cuisine. Gibbs Gardens, less than an hour from Atlanta is nestled in the foothills of the North Georgia Mountains. We invite you to visit and refresh your sense of wonder. The Gibbs family has creatively planned and developed more than 220 acres of gardens. Their 300 acres estate has a 25 year old manor house that overlooks the mountains and gardens. When open, the private gardens will provide a relaxed and enjoyable experience. Enjoy the serenity of nature and stroll along the streams with many waterfalls or around the water gardens with 22 reflecting ponds. Cross the bridges and refresh yourself with the beauty and fragrance of thousands of plants, flowers, and millions of bulbs that provide a wide array of color, shape and texture for the 16 garden venues. A mature, native woodland surrounds the gardens with the peace and tranquility of nature. ShamRockin’ is proud to partner with the Verizon Wireless Amphitheatre at Encore Park to bring you the best ShamRockin ever! Dance the night away and dine on delicious delicacies We’ll once again have an amazing collection of auction items, both Live and Silent. Enjoy your favorite libation (responsibly, of course) with complimentary beer, wine and vodka. Other cocktails also available for sale at the full service bar in the VIP lounge. Party with a Purpose: St. Patrick’s Day has never been this much fun, and felt this good! Come Party With Us! We’ll Eat, Drink, and Cure Cystic Fibrosis! Sixteen schools in the two cities have students who are meeting and exceeding standards. Gov. Nathan Deal announced today, Jan. 17, that 370 Georgia public schools are being recognized for improvement and achievement during the 2010-2011 school year. 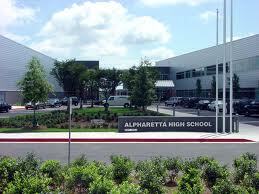 These include 16 schools in Alpharetta and Milton. The schools are being recognized under Georgia's Single Statewide Accountability System (SSAS), developed by the Governor’s Office of Student Achievement, to award schools based on their performance on state curriculum exams and Adequate Yearly Progress status. "Congratulations to these 370 schools for their commitment to hard work and high academic standards," said Deal. "The principals and teachers at these schools are to be commended for maintaining a focus on providing every student with a world-class education." The awards are being announced as part of the release of the 2010-2011 K-12 Public Schools Report Card. The Report Card, which features the SSAS awards, was developed by GOSA and provides bottom-line data for Georgia’s preschools, K-12 schools, colleges and universities, technical colleges, and educator licensing and accreditation. Gov. Nathan Deal got stuck in traffic on his way to Johns Creek a few months ago, so North Fulton is getting another lane on both sides of GA 400. Deal announced funding for an additional lane north and south between McFarland Road and the toll plaza in his State of the State Address. It was a secret he'd been keeping for months, having worked on the proposal with Brandon Beach of the GA Department of Transportation Board. Deal is the chairman of the State Road and Tollway Authority (SRTA). All the funding is coming from a combination of motor fuel dollars (GDOT) and toll money from SRTA, Beach said. So you might not like the extension of GA 400 tolls, but at least some of that money is being used to ease your commute. As long as you don't have to drive after dark, the construction won't be too much of a problem as all work will be done at night. If you thought those merge lanes at exits 7 through 11 were excessively long, you'll appreciate how GDOT will get another through lane. Those lanes will be used to create the additional travel lanes. 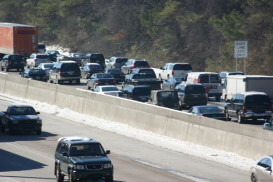 Between the Chattahoochee River and I-285, Deal said the state plans to implement flex shoulders in each direction, allowing traffic to keep moving during peak rush hours. New concrete will be poured to add capacity. Since shoulders–known as an emergency lane when your car breaks down!–are narrower than traffic lanes, adding a few feet in width may be necessary. Once the flex lanes are available, don't try to speed down them as police may need to close them down in case of emergencies. That has some emergency personnel and motorists concerned. Perhaps as soon as the end of March drivers just traveling within North Fulton will have an alternative in Westside Parkway, as the final section between Webb Bridge Road and Old Milton Parkway should be completed. The North Fulton Community Improvement District–headed by Beach–gave Alpharetta a $789,000 check to pay for right of way and GDOT is paying for construction with motor fuel will be completed by the end of March. Stunning 6 bedroom and 5 bath home in Glen Abbey subdivision on cul-de-sac. 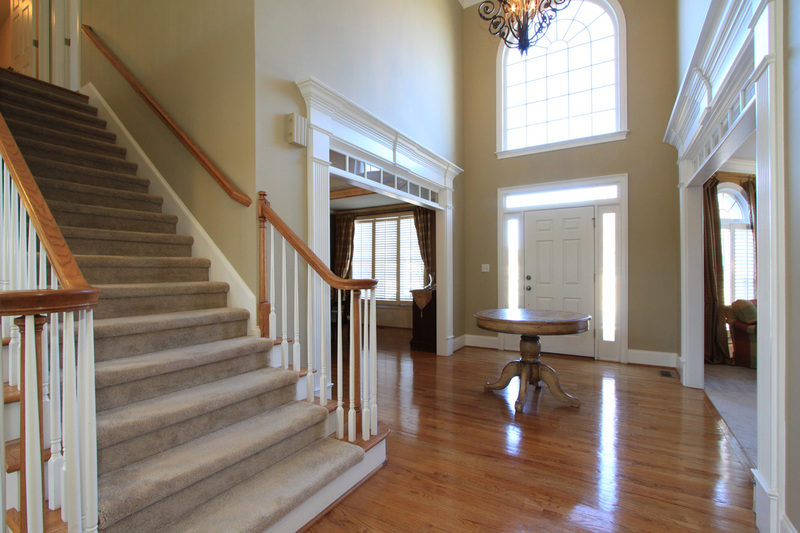 Two story foyer with extensive trim work. 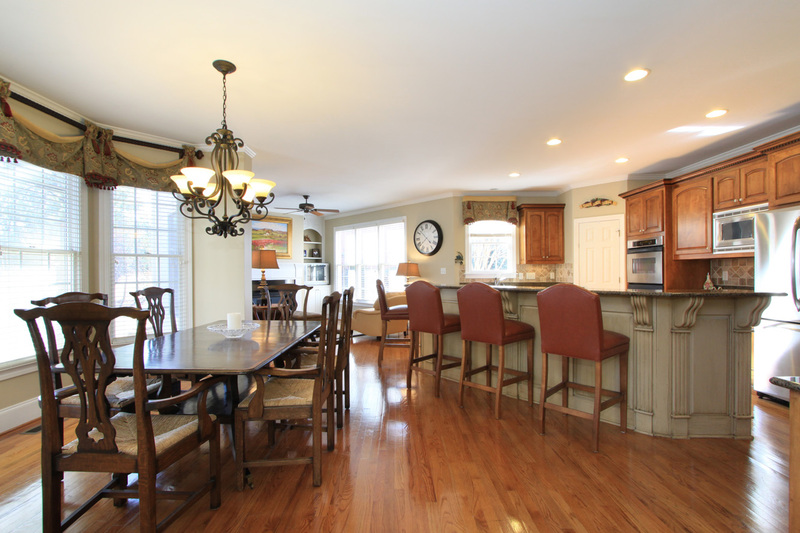 Formal dining room with trey ceiling and wainscoting. 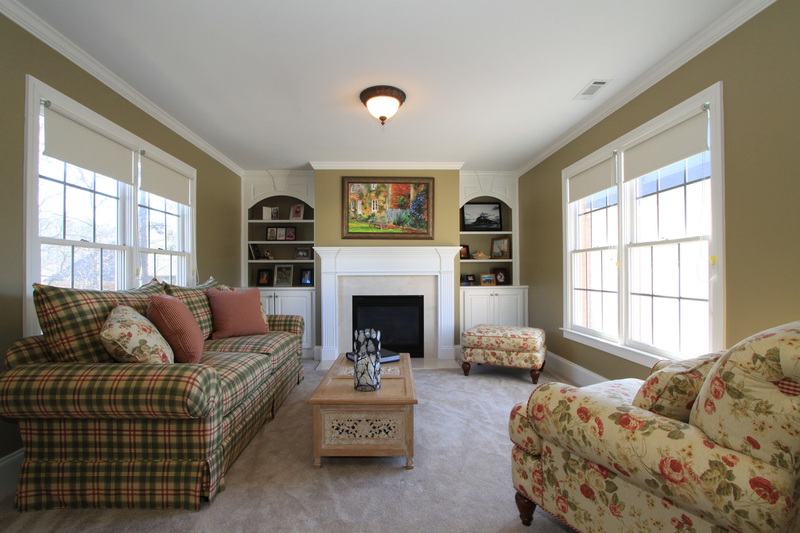 Formal living room with bay window. Spacious kitchen with stainless appliances including double ovens and stained cabinets, open to keeping room with fireplace and built-ins. Two story great room with fireplace and built-ins. Guest suite on main. 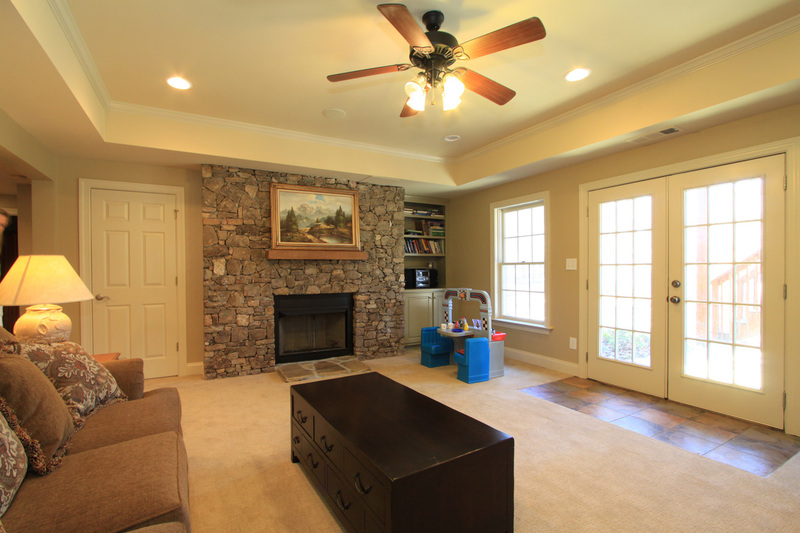 Huge master with sitting room and fireplace and built-ins. 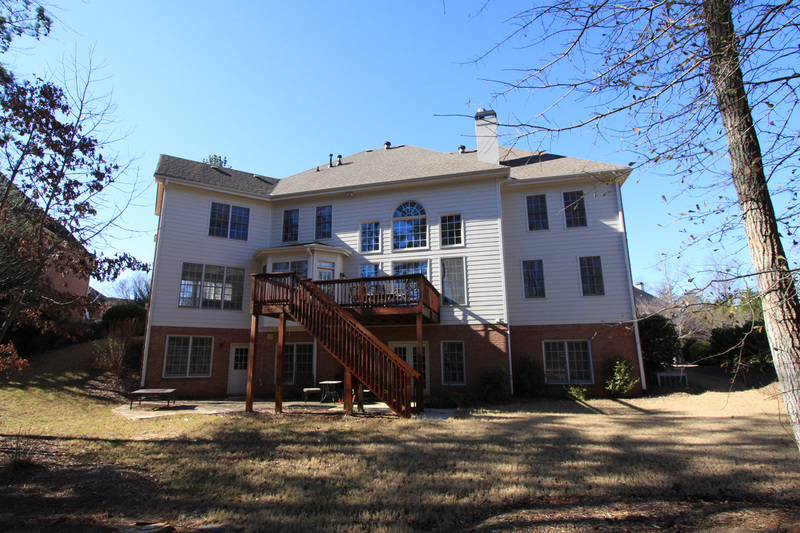 Professionally finished terrace level with home theater, wet bar, additional media room with fireplace, bedroom and workout room. Stone patio leading to level, private lot. Level driveway. The city of Alpharetta broke ground last week on a road construction project that marks the first step in its Downtown City Center revitalization project. Members of the City Council and other officials kicked-off the relocation of the section of Haynes Bridge Road between Old Milton Parkway and Academy Street in Downtown Alpharetta. “It’s going to be a great thing for the downtown to have this project completed in a couple years, and I’m looking forward to seeing it finished,” Mayor Arthur Letchas said at the groundbreaking event. At last week’s City Council meeting, the city of Alpharetta awarded a $2.29 million contract to C.W. Mathews Contracting to construct the new alignment of Haynes Bridge Road, shifting the roadway to the east beginning just north of Old Milton Parkway. According to Councilman Chris Owens, the company has done work for the city in the past and has completed projects early and on budget. The project also includes the addition of a traffic circle near the intersection of Thompson Street and the addition of parallel parking along the northern section of the roadway. To create a more pedestrian-oriented environment in Downtown Alpharetta, the newly constructed section of Haynes Bridge Road will have only two travel lanes for cars. 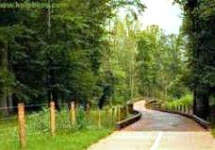 According to city officials, the movement of Haynes Bridge Road had to be the first phase of the larger project. Shifting the roadway to the east unifies the 24-acre site and opens that part of the property that will be home to the new Fulton County Library that will begin construction in 2012. At the groundbreaking, Letchas pointed out that the original plan for the City Center development, which was voted down by council in 2009, was only a seven-acre site. “[This project is] something we’ve worked on for a long time,” Letchas said. Now that Christmas is done for another year, local residents can give a gift to nature by recycling their holiday trees. Keep Roswell Beautiful is holding its 22nd annual Bring One for the Chipper at the two Home Depot locations in Roswell on Jan. 7 from 9 a.m. to 4 p.m. The two Home Depot locations are on Holcomb Bridge Road in Holcomb Woods Shopping Center and Woodstock Road across from Publix. Milton Grows Green is also holding its Bring One for the Chipper. Residents may take Christmas trees Jan. 7 to Milton High School’s Birmingham Road entrance, 13025 Birmingham Hwy., and Home Depot, 5300 Windward Pkwy., for assisted dropoff from 9 a.m. to 3 p.m.
Scottsdale Farms, 15639 Birmingham Hwy., will offer extended dropoff Dec. 26 through Jan. 7. In Alpharetta, Jan. 7 is also Bring One for the Chipper day. From 9 a.m. to 2 p.m. trees will be accepted at the Windward Parkway Home Depot Store. Community volunteers will be available to help unload the trees. 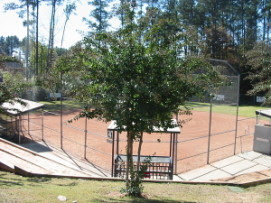 The city of Johns Creek and Keep North Fulton Beautiful will take undecorated trees Jan. 7 at The Home Depot, 5950 State Bridge Road, from 9 a.m. to 4 p.m.
To find other tree dropoff locations, visit www.keepgeorgiabeautiful.org.